I hope you're all doing well! I can't believe I'm writing this as the sun is shining again. Winter has been quite miserable and rainy here in Germany. Occasional snow, temperature changes between -8 and +8 degrees. Sometimes almost within one day. It's been very unpredictable but that's pretty common over here. However, I've spotted the first flowers popping up outside and I can definitely feel spring peeking through the winter. It's really exciting to me, as I'm not a big fan of the winter. Even though the weather is getting better, it's still not warm enough to walk around in a t-shirt, and most days I will still need to wear a scarf or a cowl outside. Since a scarf can be a bit bulky I mostly opt to wear one of my cowls. 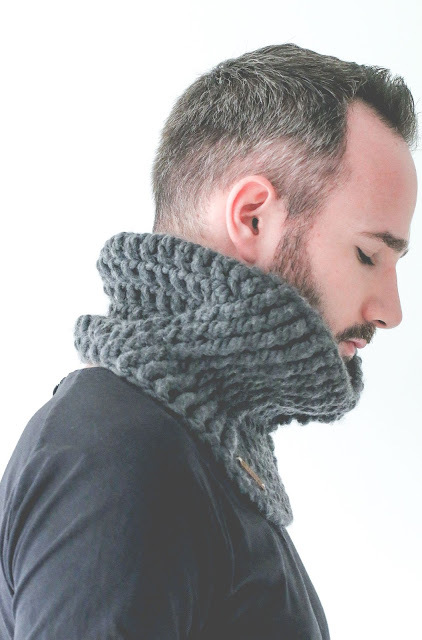 I've especially grown very fond of my most recent pattern: The Collar Down Cowl. 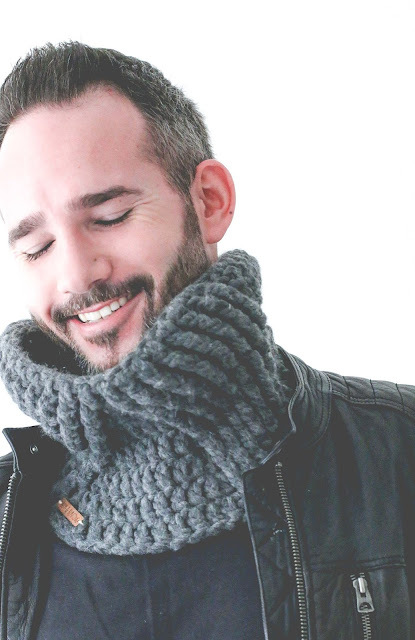 Now I say most recent, but I actually designed this cowl before I even made the Greystoke Cowl! The idea popped up in my head somewhere in November, and within an hour, it was done. I really enjoyed the look of it, but thought it was maybe a little plain at that time to actually write it up as a pattern. But a couple of weeks ago, I suddenly realised it was one of my most worn items, and I loved how it looked when wearing a coat, or just by itself over a sweater. Bold stitches and an almost 'cable-like' effect without actually having to learn how to make cables in crochet. 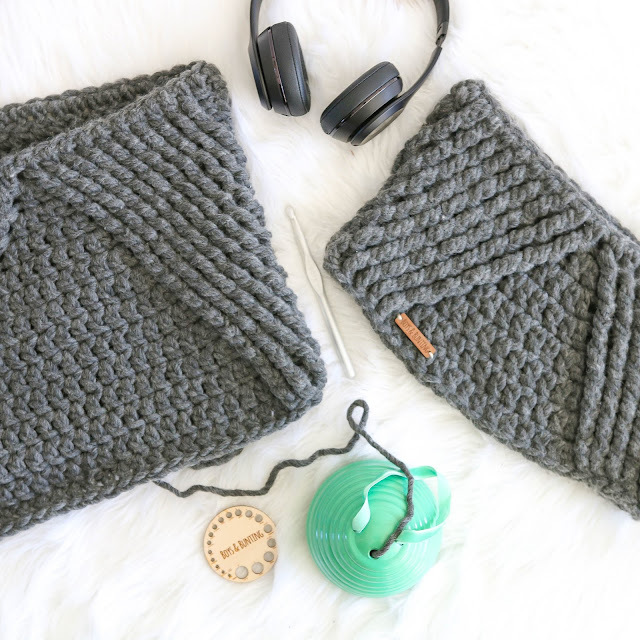 What I love about cowls, is how fast they are to make, and how they provide warmth without adding too much bulk around the rest of your body. It's also something that easily fits in your bag, when you take it off. It's like a 'pocket scarf' really. I always like my designs to be aimed at men and women. 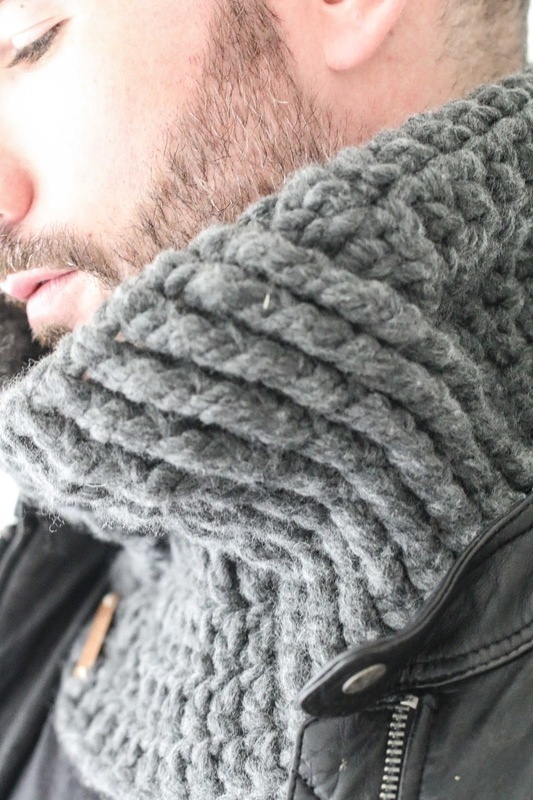 This cowl is another example of that. I've already had some pictures sent to me of people who finished making the cowl, and it always fills my crafty heart with so much happiness! The idea that someone on the other side of the world sat down with the pattern, some yarn, and made this product that I developed in my head once. I picture these people walking around the streets with their finished item and it makes me want to do a little (big) happy dance. Since a flat photograph of the cowl is not very interesting, I decided to model the cowl myself. 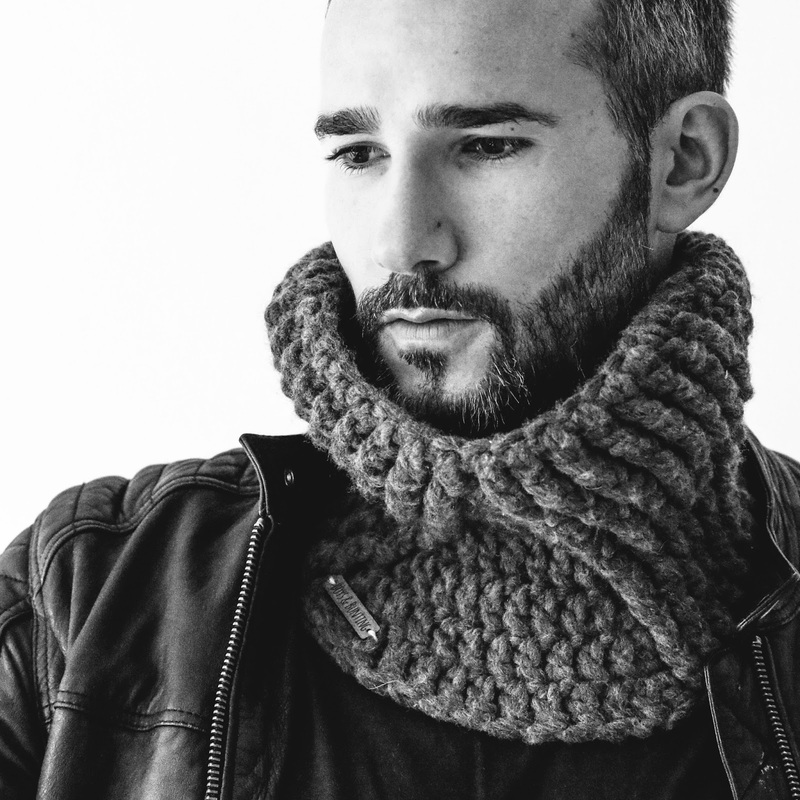 It's really not as glamorous as you might think to 'model' a crochet item. It involves me setting up a tripod in the room, with the camera on top, facing a white wall. I then connect my camera through wifi with my phone (technology these days) and hold the phone in my hand as I take the pictures myself. I'm wearing my pyjama trousers which don't show on the pictures. It also involves deleting about 98% of the photos as they are just ridiculous. Luckily I always manage to find a couple that I'm happy with, especially after a quick little edit in Adobe Lightroom! Like all my recent patterns, this one also includes a video tutorial. 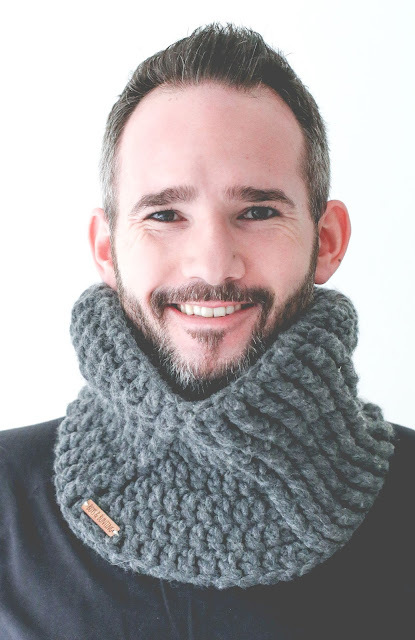 Since the cowl is not too difficult to make, the video tutorial is 'only' 30 minutes. I show you how to make the cowl from start to finish and explain all the stitches very clearly. I always thinks it really helps out those people that might struggle with a written pattern, but feel very confident about copying someone from a video. That's how I learned to crochet myself after all. The yarn I used in this cowl is a chunky / bulky weight yarn. 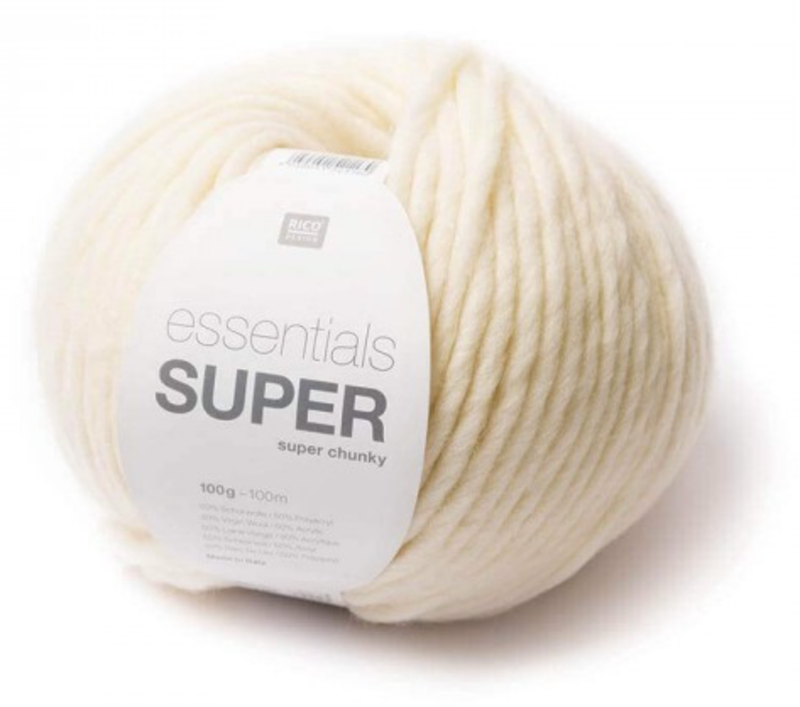 It's called Rico Essentials Super Super Chunky. It's perfect for this project, as you need only 1 skein to finished the item. The recommended hook size for this yarn is a 10mm hook, but I decided to go with a 9mm hook. You can use any chunky / bulky weight yarn that suggests using somewhere between a 9 and 11 mm hook. Also, the pattern is very easily modified, and I've added instructions in the written pattern as well! Since the winter is almost over, I've also decided to give you guys a little discount code! Since Etsy doesn't offer discount codes for specific items, feel free to use the code for any item in our shop. 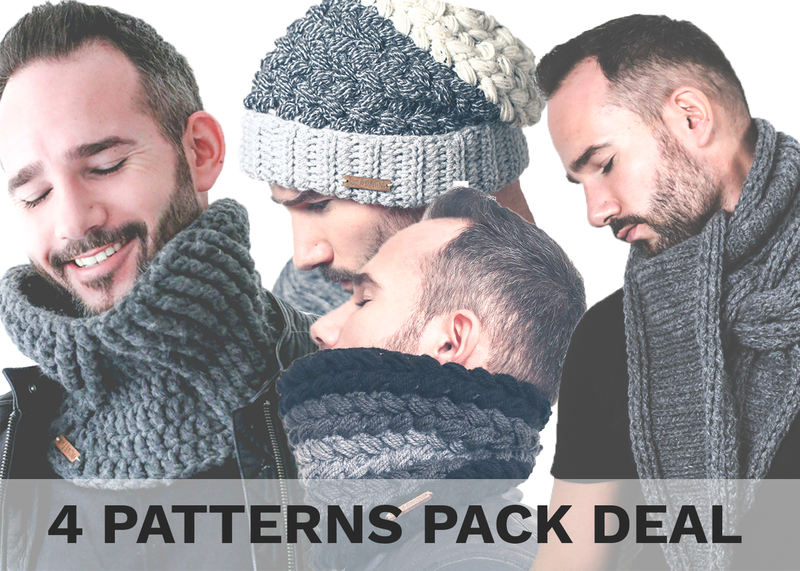 I've just put up a new listing as well, where you can purchase all 4 of my recent patterns (The Greystoke Hat, Greystoke Cowl, Point Made Scarf and the Collar Down Cowl) in one set for a much lower price than buying each one individually (note: this pack is only available on Etsy, as Ravelry doesn't have this option). It's valid until Sunday the 19th at the end of the day (midnight EST). I hope you're all experiencing some better weather at the moment, although I've seen a lot of people experiencing lots of snow at the moment! Stay warm, take care and keep on hooking!